Empire State Development today announced the start of the 2017 fall foliage season in New York State, coinciding the first day of autumn and the I LOVE NEW YORK weekly fall foliage reports. Additionally, the popular #NYLovesFall social media campaign returns this year to further promote and encourage visitation to New York’s picturesque autumn locations and attractions. Poughkeepsie, N.Y .- Dutchess Tourism, Inc. (DTI) President & CEO Mary Kay Vrba joined DTI Director of Tour & Travel Dawn Hopper to attend the I Love New York (ILNY) Sales Mission, organized by the ILNY UK & Ireland office and Norwegian Air. The pair were on hand September 10th -15th to promote Dutchess County as a top ravel destination. Eight representatives from ILNY met one-on-one with tour operators and travel agents, as well as networked with key journalists and media contacts at events in Glasgow, Edinburgh, Dublin and Belfast. Rochester, NY – Casa Larga’s annual harvest celebration will be held Sunday, September 17, 2017 from 11:00 a.m. until 6:00 p.m., rain or shine at Casa Larga Vineyards in Fairport, NY. 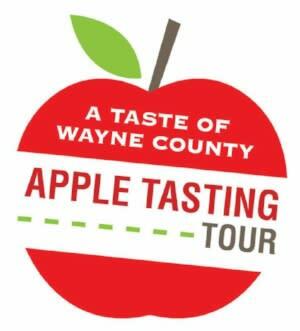 Wayne County, N.Y. – The annual Wayne County Apple Tour returns for the 20th year this fall. Since 1997, apple lovers throughout western and central New York have explored Wayne County to pick fresh apples, enjoy the fall colors, and enjoy a day of family fun. Wayne County is the largest apple-producing county in New York State. The tour runs throughout the month of October, with a “Tasting Weekend” from October 6-9 (Columbus Day Weekend).